The Class of 1963, as their gift to the College upon entry into the Old Brigade in 2009, created and donated to RMC a Wall of Honour to recognize ex-cadets of the Royal Military Colleges (RMC, RRMC, RMC Saint-Jean) and others with College numbers for outstanding achievements and contributions to Canada or the world. 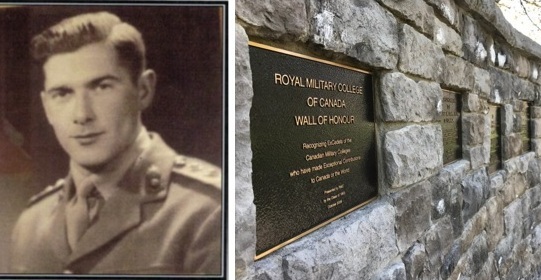 The 2018 RMC Wall of Honour Ceremony honouree is 2375 Lieutenant-Colonel Norman Bruce “Ike” Buchanan, MC with Two Bars, ED. 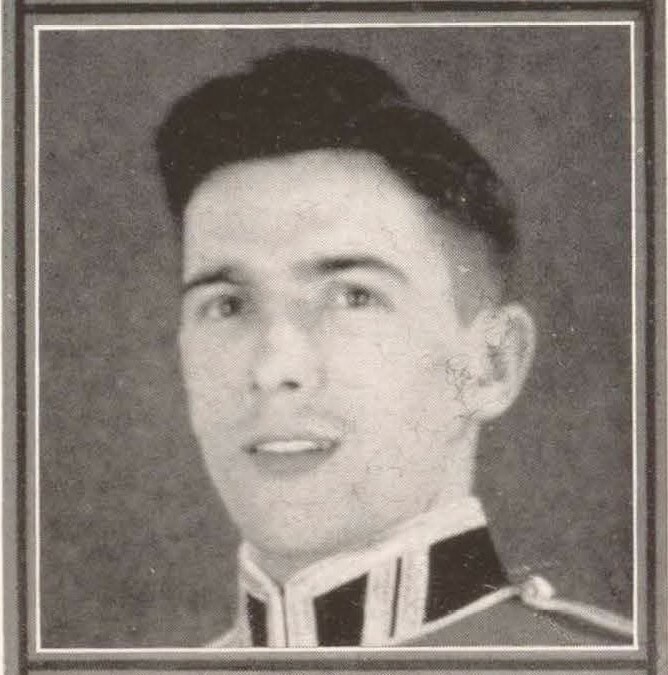 Ike attended RMC from 1934 to 1939 and graduated as a Lieutenant in the Artillery. Seconded to the British 1st Army in 1940, Ike served in North Africa from 1942 to 1943 and was awarded the Military Cross (MC) for actions in Thala, Tunisia on 22 February 1943. On 7 October 1943, while serving in Sicily and Italy as a Troop Commander, 1st Canadian Division, he was awarded a bar to his MC at Gambatesa, Italy. With 14th Field Regiment, 3rd Canadian Division for the D-Day invasion of France in June 1944, Ike was awarded a second bar to his MC for actions in Normandy in the first few days of the invasion. Ike was presented the Military Cross with Two Bars by King George VI. Shortly after the war, he re-entered civilian life in St. Stephen. Ike was elected MLA for Charlotte County, New Brunswick from 1952 to 1960 and appointed Minister of Lands and Forests where he championed industrial growth, economic development and the creation of employment opportunities. He led initiatives for airport modernization, mine development, provincial CBC TV coverage and forest industry growth to benefit veterans and the provincial economy. A successful businessman, Ike continued to run the family furniture retail business until 1982 and, with partner Donald MacLeod at St. Stephen Woodworking, invented fiberglass hockey sticks which were sought after across Canada and became the favoured sticks of the NHL. The RMC Wall of Honour Ceremony will take place on Saturday, 15 September at the Wall on Vérité Avenue. Guests are to be seated by 1:20 pm. The Guest speaker will be former honouree 3528 Gen (Ret’d) Paul Manson. The Ceremony will also include the transfer of responsibility for the Wall of Honour from the Class of 1963 to the Class of 1975. The Class of 1975 is taking on responsibility as part of their gift to the College upon entry into the Old Brigade in 2020. This transfer is the result of a multi-year transition process.